Holy visibility, Batman! Visibility is a seriously undervalued aspect of web analytics tracking. Too often, we fall into the trap of thinking that “Page Views” actually have something to do with “viewing” a page. Or that tracking scrolling to 25%, 50%, or 75% of vastly different pages makes sense on the aggregate level. 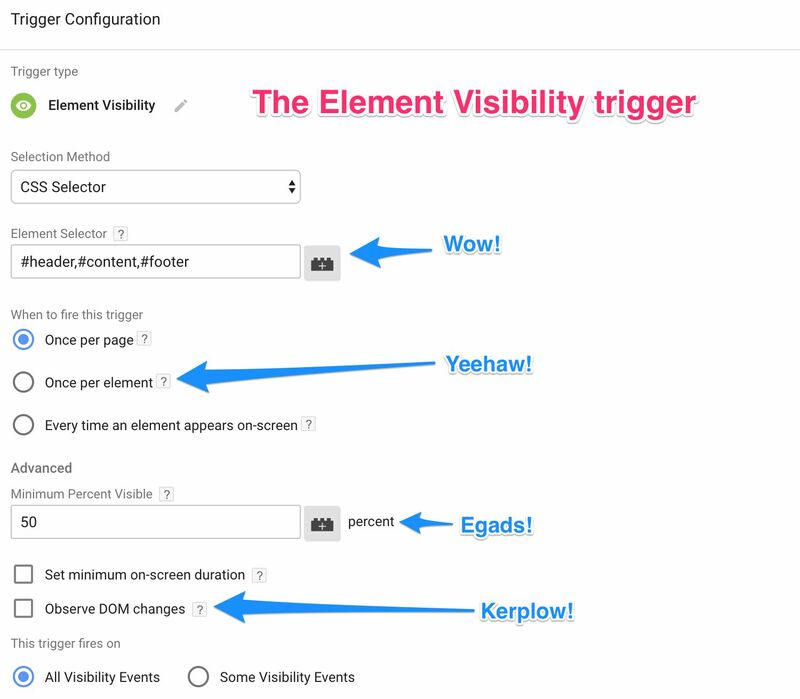 So you will be very pleased to know that the Google Tag Manager team (who have been on FIRE recently), have just published the Element Visibility trigger. The Page Visibility API for web browsers is pretty sweet. It lets you poll, using some new properties of the document object, whether or not the current page is visible to the user. Visibility is hidden if the page is not open in the current browser tab instance, or if the browser window has been minimized. 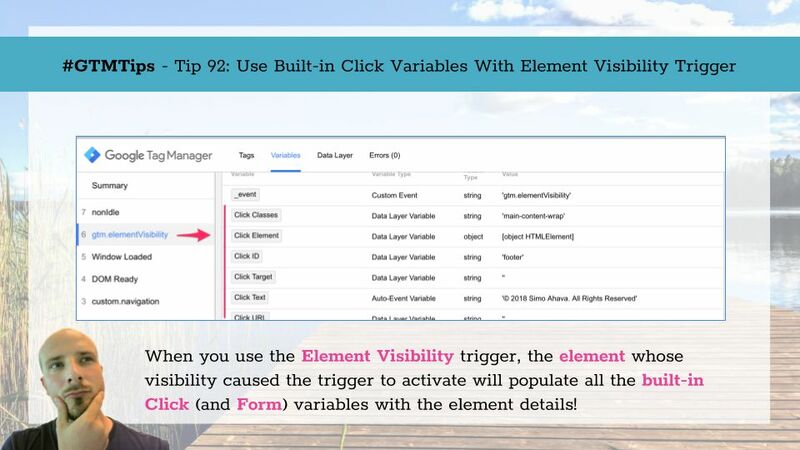 In this post, I’ll give an example of how features of the Page Visibility API could be used with Google Tag Manager.